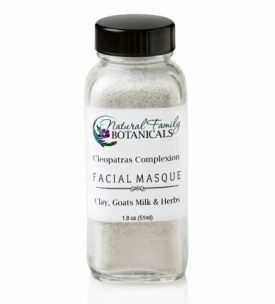 Rebuild collagen and repair your skin with Vitamin C and Calendula. 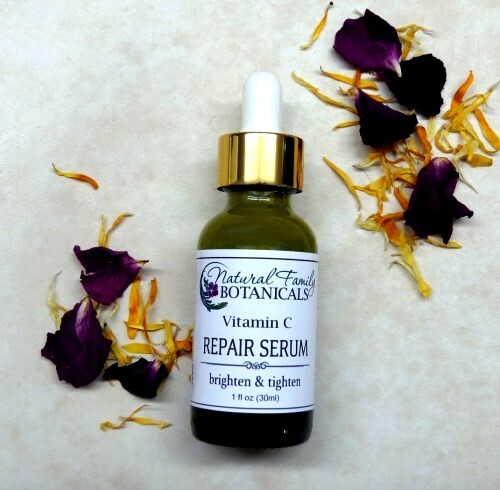 Vitamin C Facial Repair Serum is a deluxe facial oil to rebuild collagen and repair damage caused from sunlight, aging, and daily exposure to pollution. Vitamin C helps in the production of collagen and the maintenance of healthy skin and blood vessels. Collagen, which naturally decreases as we age, helps to keep our skin tight, elastic and not saggy. Thankfully, collagen CAN be restored and Vitamin C is a beneficial element to correct this condition. The type of vitamin C we use in our serum is fat soluble so it is easily absorbed into the facial tissue delivering its super antioxidant qualities and protection deep into the skin regenerating vitamin E, preventing wrinkles, lightening the skin and eliminating the blotchiness that gives skin an aged appearance. This amazing serum is also filled with several astringent oils such as Hazelnut, Cranberry Seed, Borage and Witchhazel. 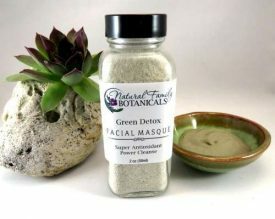 Astringents cause the skin to “pucker”, contract and tighten creating a smoother, more youthful appearance. Astringents also help decrease skins oiliness. These astringent oils contain some of the highest levels of anti-oxidants, plus rich amounts of skin healthy vitamins and phytosterols for excellent skin conditioning and restructuring, protection against free-radicals, deep moisturization and skin tightening. Daily use of this oil blend will deliver amazing, visible results. Be sure to shake bottle before each use to re-disperse the vitamin C, as the excess vitamin C will settle to the bottom. 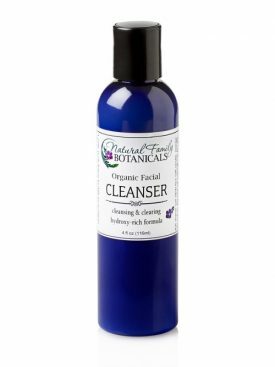 Our Vitamin C Facial Repair Serum has a light, pleasant floral/herbal scent of geranium, carrot seed, and the herbal goodness of the infused organic calendula and rose petals. 1 fl oz. beautiful two-tone blue glass reusable/recyclable bottle with gold dropper top. Olive squalane, Organic jojoba oil, hazelnut oil, and organic sunflower oil infused with organic calendula, organic chamomile, organic witchhazel, and organic rose petals, organic rosehip seed oil, cranberry seed oil, meadowfoam oil, borage oil, ascorbyl palmitate (vitamin C), geramium essential oil, bergamot essential oil, rose absolute, cypress essential oil, carrot seed essential oil, lemon essential oil, tocopherol vitamin E (non-gmo). Olive Squalane – a super beauty oil that quickly absorbs and creates smooth, soft skin. 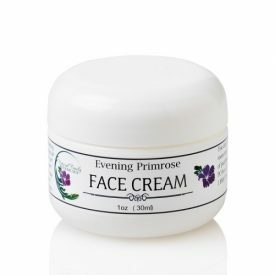 Helps to rebuild collagen to increase elasticity and strengthen the facial tissue. 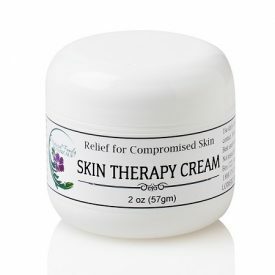 Extremely emollient and holds moisture in the tissue for longer hydration to skin cells for soft, supple looking skin. Hazelnut Oil – a skin tightening, astringent oil with rich levels of healing phytosterols that recondition and restructure our skin. Cranberry Seed Oil – an anti-oxidant and vitamin rich, skin protective oil with high levels of omega 3 & 6 which helps our skin to readily absorb all of this facial serums skin healing goodness! 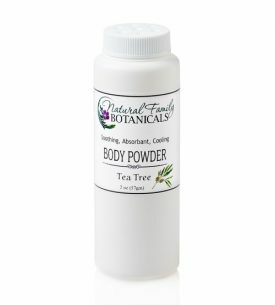 Has amazing astringent qualities to help tighten tissue and create a smooth, more youthful appearance. Rosehip Seed Oil – studies done on rosehip seed oil show it helps lighten the skin. A beauty oil that is highly sought after and the amazing studies done on it prove why! Click here to read about these life changing studies! Borage Oil – an astringent herb that tightens skin tissue. Rich in the necessary fatty acids such as gamma-linolenic acid, that has anti-inflammatory qualities, and omega 3 & 6 for restoring moisture and suppleness. Also necessary for the rebuilding of collagen. Meadowfoam Oil – absorbs quickly and leaves skin feeling super soft. Very high levels of skin healing anti-oxidant vitamin E to restore and protect our skin from damaging free-radicals that attack our skin through daily exposure to sun and environmental pollution. Jojoba Oil – similar to our skins natural sebum and balances over production of oil glands to help reduce breakouts and to create a soft, smooth appearance. Deep moisturizing to keep skin supple. Witchhazel – an astrigent herb to help tighten the skin. 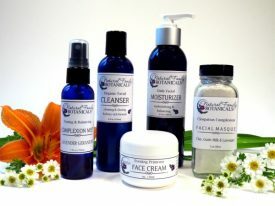 Calendula – a gentle, healing herb to keep the skin looking soft, healthy and wholesome. Vitamin C (ascorbyl palmitate) – oil soluble and easily absorbed into our epidermis. Vitamin C heals skin tissue and lightens darkening pigments while creating new collagen that will keep the skin elastic and tight for a smooth appearance. Carrot Seed – rich in vitamins that feed skin cells and create healthy skin. Rose Absolute – the historical amazing flower that brings beauty and restoration to our skin. I have been using this serum on my arms and hands and have seen a noticeable improvement in the texture of my skin. As a 58yr old ex-Calif beach bunny, I have old sun spots and crepe skin that is embarrassing. This serum has made quite a difference. The crepe is almost unnoticeable now and even the thin skin on my hands looks healthier! YEAH! I’ve been using this serum since it first became available. 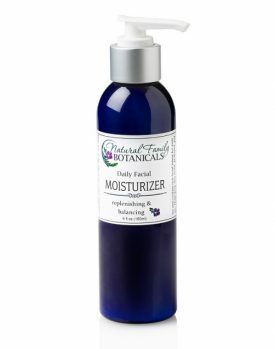 I use it at night under my Evening Primrose cream and I add 2 drops to my Daily Moisture lotion. It absorbs quickly and leaves my skin soft but not greasy. It has made a noticeable difference in the appearance and condition of my skin (66 year old skin). I am very pleased with the results from using this serum and I plan to continue using it.